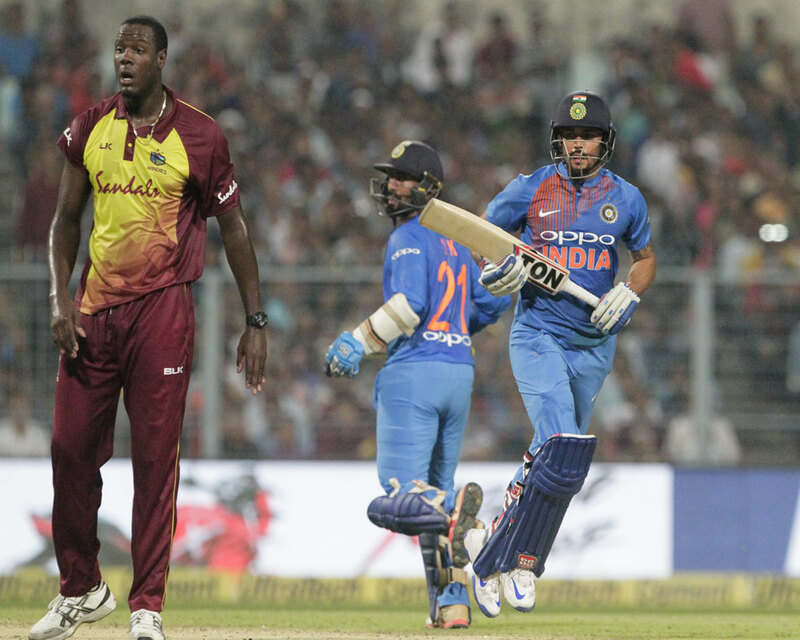 Team India celebrated the return of cricket in Chennai on Sunday and beat West Indies by 3-0 in the T-20 International series. The Indian team beat the Caribbean team by 6 wickets in the third and final T-20 International match with help of brilliant innings of Shikhar Dhawan and Rishabh Pant. West Indies, batted first, scored 181 runs for the loss of three wickets in 20 overs. In reply, Team India achieved the target on the last ball by losing four wickets . Team India successfully achieved the target on the last ball for the third time in the T20 International match. Before Chennai, India had done this amazing job against Australia in 2016 in Sydney and again in the final of the Nidahas Trophy against Bangladesh. Shikhar Dhawan and Rishabh Pant shared 130 runs partnership, which is the best for any wicket while chasing. Dhawan-Pant broke the record of 123 runs partnership made by KL Rahul and Rohit Sharma in England. Sikhar Dhawan adjudged man of the match for his brilliant 92 runs (10 four and 2 sixes) and Kuldeep Yadav adjudged man of the series for his 5 wickets in 2 matches.